A screencast is a screen capture of the actions on a user’s computer screen, typically with accompanying audio. In the same way that a screenshot is a static representation of a computer screen at a point in time, a screencast captures what happens on a monitor over a period of time. The audio track can be the sound from an application being demonstrated, a narrative from the presenter, or background audio from another application, even music. Screencasts can be produced in various formats, and users generally watch them streamed over a network. Screencasts can be thought of as podcasts of a computer monitor. Podcasts are easy-to-make audio files that can be edited and distributed online. Screencasts capture the feeling of personal connection that podcasts provide, with the added benefit of video to see what is being discussed. And, like podcasts, screencasts can be easily distributed through blogs and other Web pages. Screencasts can be another component of a user’s news aggregator, along with Web pages, multimedia files, and other resources. It is a combination of different screenshots in the form of a video which serves many purposes e.g. a tutorial for some software, series of steps occurring in a scientific process, A macro plan of some project etc. Screencasts are self-explanatory manuals. They are very easy to understand. They can be very useful for engineering activities, in planning them, explaining different steps and several other parts of the project. Making screencasts requires special software that captures activity on a screen. With the proper software installed, making a screencast is as simple as pushing a “Record” button and then working with an application you want to demonstrate. If a narrative is part of the screencast, you speak into a microphone as you manipulate the actions on the screen. All of the action and sound are recorded and, with most screencast software, can be edited later. Some software lets you add menus or a table of contents for the screencast, allowing users to navigate to different parts of the presentation. Certain tools include captioning functionality, which adds text captions to accompany a presentation. This can be beneficial to visual learners and students with auditory handicaps. Some screencast tools specifically use Tablet PCs. Finally, the screencast is saved in the desired format, based on file size, resolution, or compatibility with hardware and software used by the audience. To watch a screencast, you only need a viewer capable of showing the appropriate file format. For many screencasts, this means nothing more than a Web browser with a media player, such as QuickTime, Flash, or Windows Media Player. Screencasts can be streamed over a network or downloaded and watched later. One option is to save screencasts on a portable device with video capability, such as a video iPod. Although the small screen makes some screencasts impractical for portable devices, others work well, allowing viewers more freedom in where and when they view recorded sessions. 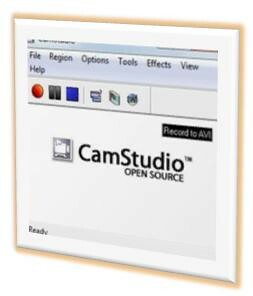 Camstudio is a FOSS screencasting tool which can easily be found online. 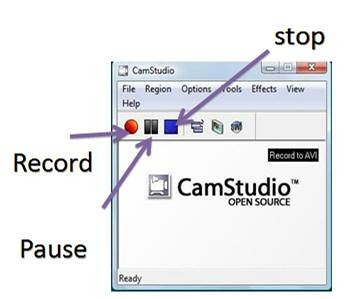 Camstudio covers a wide scope of the tools of screencasting. Furthermore, there are many different tutorials available online for help. It is very user friendly with simple tools, easy to understand & work on. It is easily downloadable with very small requirements. 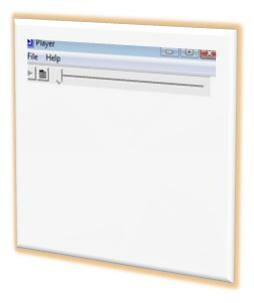 Simply press the record button, a window known as region appears , press pause where required and stop to save the video. When the record button is pressed, A screen(region) appears. Its like a camera recording your moves on the monitor screen. You can visually display how a function works on your computer’s screen. There are many userfriendly tools in camstudio. The first toolbar is the Region; In here you can change the size of the screen that will be responsible for recording. It can vary from a fixed size to full screen. The next toolbar is Options; In here you can Customize different settings e.g. showing pointer’s orientation while recording and adding effects to it, Setting Autopan i.e. selecting whether you want the recording screen to move along with the pointer or not, if yes then customizing its speed. Similarly their are some program options, audio, video configuration options, Keyboard shortcuts and Language options etc. Another toolbar is Tools; here you can add different tools like flowchart shapes and text editors etc. These are known as audio and video annotations. Their is a toolbar "Effects" , here you can add date, time, header, footer etc to your screencast. You can also change the view of camstudio from the toolbar View when required. There are many other online freeware as well as commercial screencasting tools/softwares too e.g. Wink, Screenflow, Snagit, Camstudio and Jing.